On the occasion of Navratri, take a look at 5 trendy Indo Western outfit ideas that are sure to make you look stylish! Often the words fusion and Indo western are interchanged though they don’t mean the same in the fashion world. Indo western is not just about pairing kurtas with jeans, but actually is the fusion of Indian and western design sensibilities. For instance, a zardozi-embroidered evening gown, a sari cut up to resemble pants and so on. It is basically about giving the garment a look that is Western and Indian at the same time. 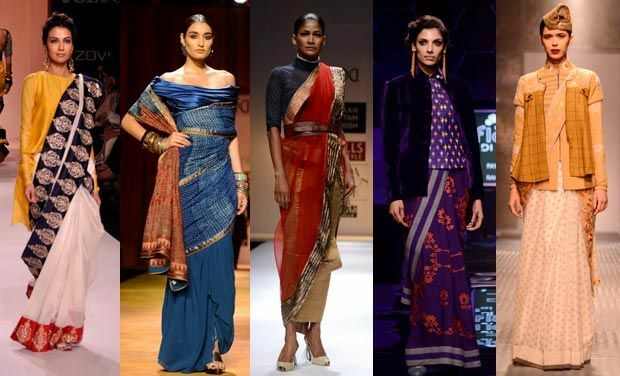 This season Indo western trend is a big hit ,these outfits are more flexible and functional. Whether it is embroidered pants with a trendy blouse and cape or shift dresses with dabka work. 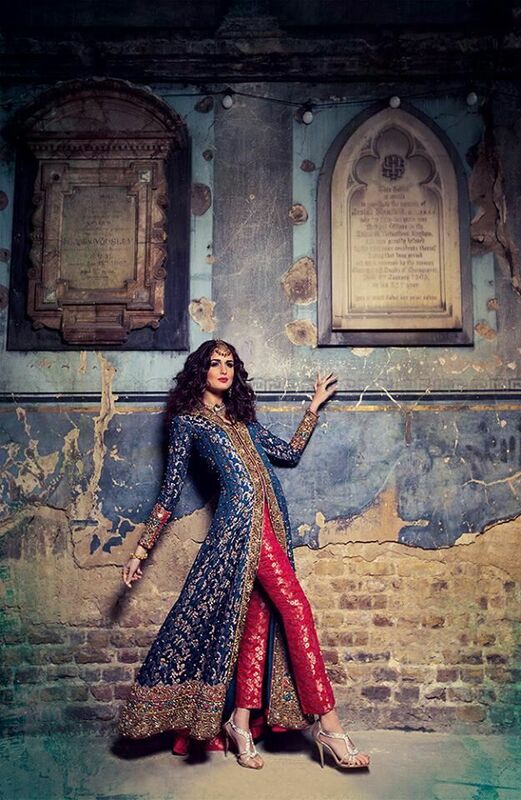 The outfits are trendy yet they have that ethnic touch and promise to make you look festive with a twist. This trend has been around for a while now and its sleek look and classy finish means that it isn’t going away any time soon. Pair cigarette pants in chikan, brocade, silk or any texture and embellishments with crop tops, kurtis, tunics or even western shirts. This is a versatile must-have piece. Try pairing a saree with a crop top. Or wear it partially draped around pants. Throw a heavy dupatta over a spaghetti top paired with trousers. It is all about exploring the permutations and combinations. 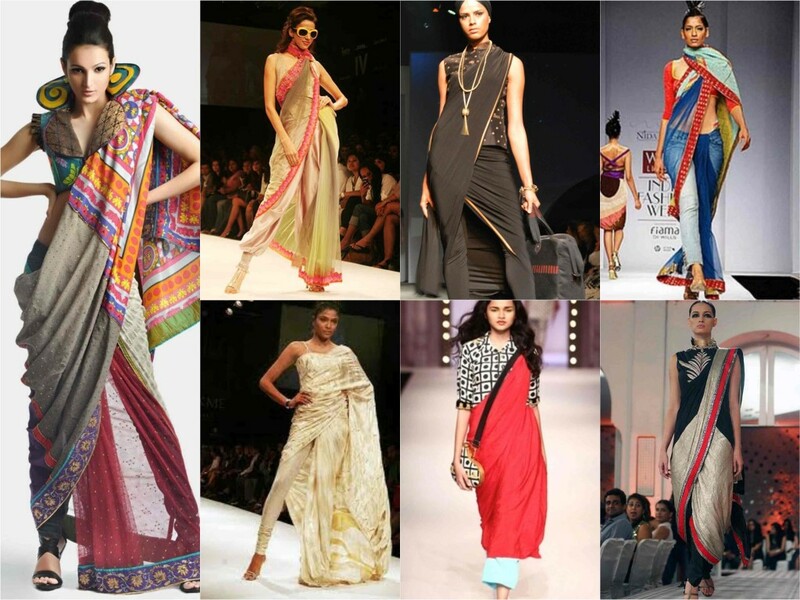 If choosing to wear a gown, opt for one done in an Indian fabric, or drape a sari like a Grecian goddess. 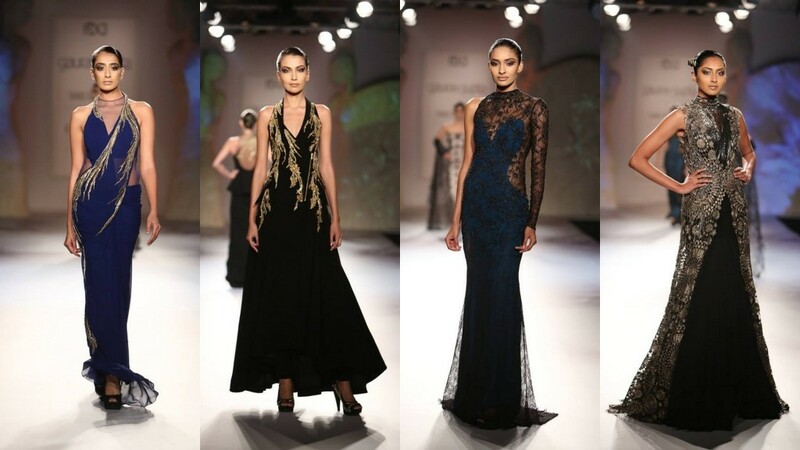 It is all about western silhouettes with Indian sensibilities and Indian silhouettes with Western sensibilities. You could have never imagined dhotis, sherwanis or even bandhgalas finding a place in a woman’s wardrobe! 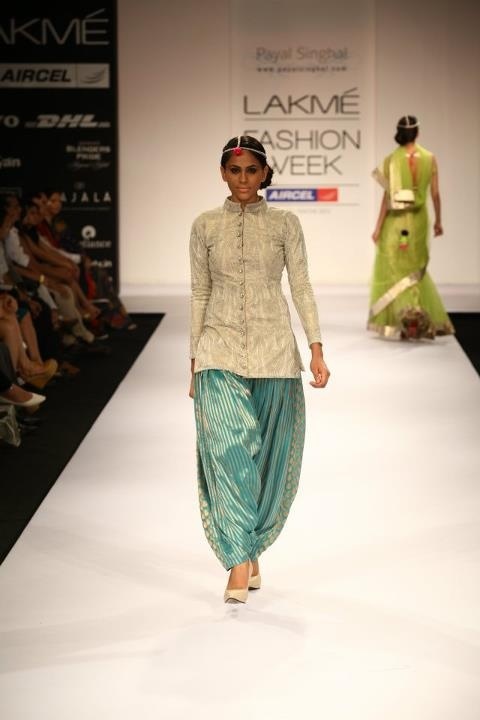 But thanks to the Indo Western trends, comfortable clothing is looking glam and stylish on women. Take inspiration from the men and get structured sherwanis that make you look regal and pair them with leggings or pants and even dhotis. Nothing spells Indo Western chic louder than wearing traditional Indian jewellery with Western outfits. Wear polki earrings with a jumpsuit. Or a heavy jadau choker with a gown. But keep this subtle. Let only one piece of jewellery make the statement and don’t overdo it.